The problem is that they are often expensive, hassle and time consuming and often get forgotten about until its too late and then your minor I.T. issue becomes a major problem that can cost you time and money. Often, you don’t realise how important they are until after you have lost data and had to deal with the consequences. Imagination have always offered a dedicated backup service for golf clubs and small businesses, but now we are able to offer a shared solution for a fraction of the price. The advances in technology and the reduction in hardware costs along with improvements in internet performance now means we can offer a lower cost automated solution to this age old problem. 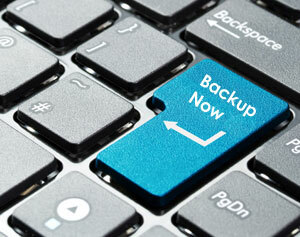 Backups can be scheduled at a time to suit you, during periods when your system resources are relatively free. So for example, you can schedule the backup to happen after business hours to improve your performance as well as reduce network usage. The process is very simple, quick and hassle free, as client machines are backed up automatically and directly over the internet. Imagination can protect your data from just £10 a month, with our automated offsite backup service.